Facing another Christmas alone, wealthy executive Drew Latham (Ben Affleck) returns to his childhood home, offering the family now living there (James Gandolfini, Christina Applegate and Catherine O'Hara) a bundle of cash to let him spend an old-fashioned Christmas with them. But Drew's outrageous demands begin turning their Noel into a nightmare in this hilarious slapstick comedy that puts the fun in family dysfunction. $4.441 million on 2750 screens. In what may be a record, 2004’s Surviving Christmas came out on DVD a mere 60 days after it debuted in movie theaters. That tops quick-to-video competitors like From Justin to Kelly; that one hit DVD 67 days after it bombed in theaters. To be fair, I expect the release schedule of Surviving was accelerated to capitalize on holiday sales. I suppose last-minute shoppers might decide to give it a go if the stores run out of good flicks like Elf or It’s a Wonderful Life. Really, I can’t think of another reason for anyone to buy this terrible movie. Surviving introduces us to successful ad executive Drew Latham (Ben Affleck). When he tells his girlfriend Missy (Jennifer Morrison) they should go to Fiji for the holidays, she reacts negatively. She thinks they should make it a family occasion, but Drew avoids that topic. This upsets her so she dumps him. The lonely Drew tries to find someone to spend the holidays with but fails. He pesters Missy’s therapist (Stephen Root) for information, and he instead provides a method for Drew to deal with his issues. Dr. Freeman tells Drew to write down his grievances with his family and burn that list in front of his childhood home while he whispers “I forgive you”. He enacts this ritual but it ends poorly when Tom Valco (James Gandolfini) mistakes him for an arsonist and whacks Drew in the head with a shovel. When he wakes up, the family - which also includes wife Christine (Catherine O’Hara) and son Brian (Josh Zuckerman) - allows him to tour his old home. Drew begs the Valcos to allow him to stay for the holidays, but understandably, they refuse. However, Tom reconsiders when Drew offers him $250,000 to stay. He quickly irritates the family, a factor that gets worse when daughter Alicia (Christina Applegate) returns home. This upsets the apple cart of Drew’s fantasy, so he hires an actor (Bill Macy) to play his “Doo-Dah” and flesh out the family. The rest of the movie follows all the various interactions as Drew bothers the various parties in his attempts to recapture his youth along with a mix of other complications. Over the years, I’ve tried to stay positive about Affleck. While the ranks of Affleck-bashers grew bigger and bigger with each flop, I attempted to remain on his side and see his positives more than his negatives. Surviving may well be the straw that broke the camel’s back. I could take clunkers like Jersey Girl and Gigli since I liked him in better efforts like his pre-Jersey Kevin Smith movies. That plus his general likeability in interviews kept me as a booster while others attacked him. Maybe Surviving won’t push me over the edge, but Affleck’s so bad in this role that I find it tough to muster any defense for him. Actually, that’s not wholly true, for I blame the filmmakers more than the actor. Affleck was completely wrong for the part and should never have been cast in it. Drew needed to be played by someone with greater comedic breadth who could make the character annoying and lovable at the same time. Affleck can’t handle the comedy, and he only creates an irritating personality with few redeeming traits. Theoretically, the solid supporting cast might have made up for Affleck’s atrociously over the top scenery chomping, but the rest of the actors just seem beaten down and dispirited. Gandolfini does little more than offer a logy riff on Tony Sopranoi, while the usually-reliable O’Hara looks bored. I can’t blame them, as I assume they took the parts for the paychecks involved. Surviving includes the kernel of a good movie, as the subject of holiday loneliness seems ripe for the comedic exploration. This isn’t the right film to delve into the topic, though. The story itself is often illogical and never funny. The Valcos get irritated by Drew way too easily at the start, as they react negatively to very little. When his behavior escalates, we don’t buy it since they’ve already reacted strangely. It doesn’t help that so much of the movie evolves in a predictable manner. It’s absolutely inevitable that some sort of heartwarming events will occur, and we also know from second one that Drew and Alicia will develop a romance. Lessons will be learned, relationships improved, and so on. Bah humbug! Surviving Christmas never threatens to become either amusing or charming. Despite a story with potential, it wastes its talent on a tiresome, predictable tale with no entertainment value. 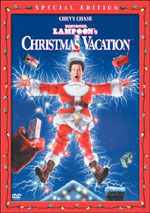 Surviving Christmas appears in both an aspect ratio of approximately 1.85:1 and in a fullscreen version on this single-sided, double-layered DVD; the widescreen image has been enhanced for 16X9 televisions. Only the letterboxed picture was reviewed for this article. Perhaps as a reflection of the rapidity with which the movie hit DVD, the visuals looked rather bland. Sharpness varied. Parts of the movie came across as acceptably accurate and distinct, but quite a few segments occurred in which detail seemed less than terrific. Occasional examples of softness cropped up throughout the movie, as much of the flick was oddly ill-defined. I noticed no issues with jagged edges or moiré effects, but some mild to moderate edge enhancement appeared throughout the flick. Print flaws proved minor, as I noticed only a couple of small specks. Colors also offered something of a mixed bag. Sometimes they looked nicely bold and dynamic, but exceptions occurred. The hues periodically appeared somewhat muddy and messy, and they occasionally appeared flat and without much breadth. Black levels were acceptable but not much better, and low-light situations appeared a bit drab. They never looked excessively dense, but they didn’t display much life either. Although I’ve seen many worse images than that of Surviving Christmas, this transfer seemed flat for a brand-new movie. Although the Dolby Digital 5.1 audio of Surviving Christmas lacked much pizzazz, it was perfectly fine for this sort of movie. The soundfield demonstrated the kind of restricted scope I expected. The majority of the mix remained focused on the forward channels, which offered nice stereo music and a good sense of atmosphere. Not much happened to make the speakers come to life, but they created a nice feel of environment and blended well. The surrounds did little more than reinforce things. Very little in the way of unique audio emanated from the rear channels, as they stayed with general material. Audio quality was good. Speech consistently appeared natural and distinctive, and I saw no signs of edginess or issues with intelligibility. Effects came across as natural and accurate. They never taxed the system, but they were dynamic and clear. Music fared best, especially via the reproduction of source pop tunes. Those presented nice dimensionality and vivacity. The whole thing showed solid bass reproduction. Nothing made this track stand out as significantly above average, but it was generally satisfying. Given the film’s box office failure, it should come as little surprise that very few extras accompany it on this DVD. We do find an HBO First Look program that runs 11 minutes and 32 seconds. It contains shots from the movie, behind the scenes bits, and comments from director Mike Mitchell, producer Jenno Topping, special effects coordinator Tom Ryba, and actors Ben Affleck, James Gandolfini, Christina Applegate, and Josh Zuckerman. They talk about the story, the characters, and shooting in cold weather. Those latter elements are mildly interesting as we find out how frigid things became, but otherwise, this is just the usual promotional blather. We see lots of film clips and learn almost nothing about the making of the movie. Next we get an alternate opening sequence. It fills two minutes, 16 seconds with a much more extreme version of the film’s start. The released cut includes one implied suicide, but the alternate take presents a slew of realized suicides. Neither is exactly amusing, but the alternate one makes more sense for the film; as the released one stands, it makes little sense. Inside the storyboard gallery we get art created for six scenes. These include “Trumpets” (76 drawings), “Suicide” (44), “Holiday Tray” (14), “Airport Security” (19), “Breakneck Hill” (14), and “Ski Slope Sled” (36). These are very cartoony but kind of fun to see. Maybe someone will adopt Surviving Christmas as a holiday classic, but I can’t imagine that from anyone other than masochists. The movie wastes a good premise and cast on cheesy material without any form of charm or humor. The DVD presents bland picture with acceptable but unspectacular audio and a weak set of extras. Buy Surviving Christmas only if you can’t find coal to put in some bad child’s stocking.